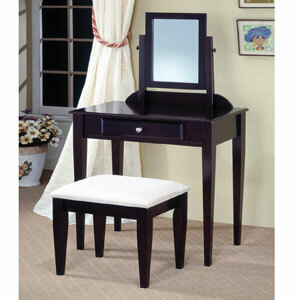 • Dimensions: Vanity: 28 In. (L) x 16 In. (W) x 50 In. (H) Stool: 18 In. (L) x 14 In. (W) x 17 In. (H).